A quintessential fish taco is a chunk of battered fish, deep fried and dropped onto a warm corn tortilla, topped with cabbage, pico de gallo, cilantro and spicy white sauce. Obviously not all versions of the Cabo staple are the same. Like the many fish in the ocean, each place’s fish taco has a singular style — or some unique spin on the specialty. 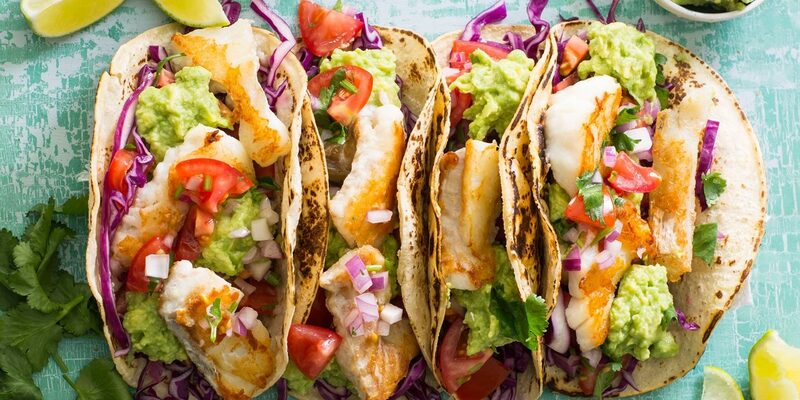 So just where in Cabo can we find the best fish taco flavors? 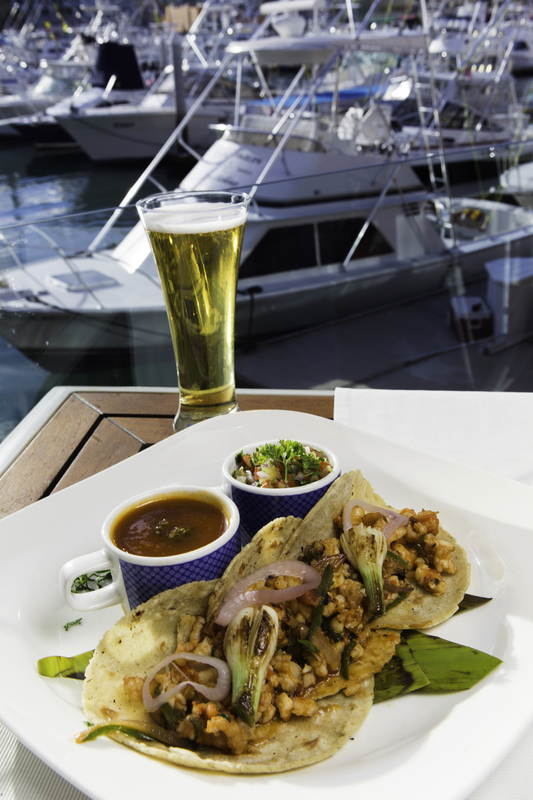 We scouted five local Cabo favorites we want to taste test again and again! Marina Fiesta slices grouper fillets into strips and then marinates them in squeezed lemon with grated ginger, diced onion and garlic. Their uniqueness is in the finely chopped garlic and julienned carrots and squash atop, which add a fresh and crisp element to the tacos. And of course a little guacamole, salsa, or salsa molcajete adds even more to love! The Hyatt Ziva’s mini fish fillets are passed through a dough tempura and then fried and topped with Mexican Tomato sauce. Hotel El Ganzo marinates their fish in herbs with salt and pepper, then tops to taste with grated carrot cauliflower, a red sauce with habanero… all on a crisped corn tortilla. 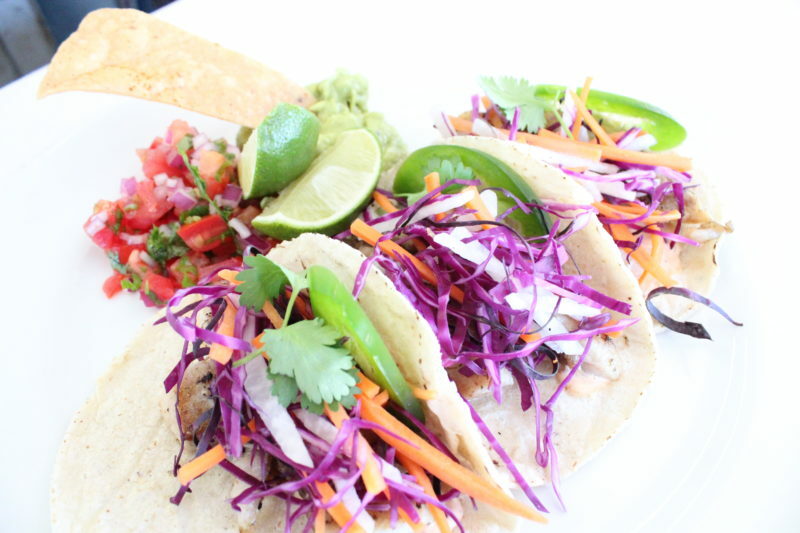 Playa Grande’s seabass tacos are spiced, battered and fried, then served over a hot corn tortilla with red and white cabbage slaw, and garnished with guacamole, Mexican and red sauce, and a slice of lime. 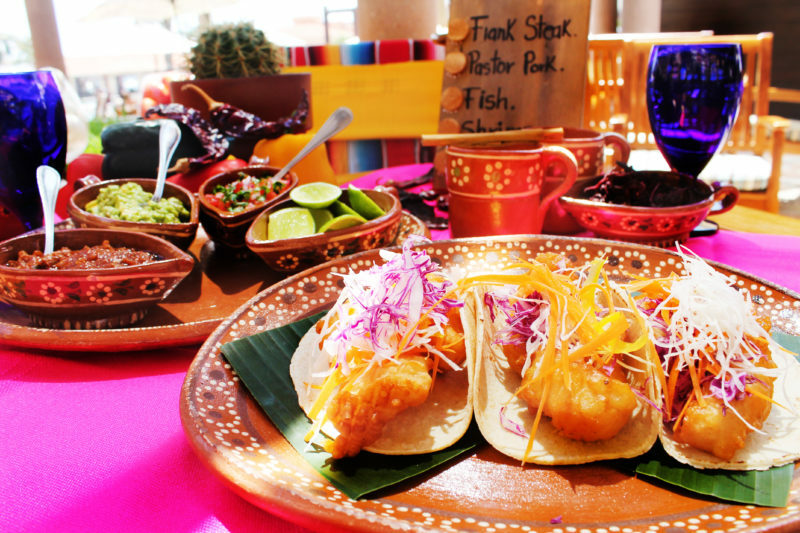 Grand Solmar Land’s End’s beer battered fish tacos are deep fried and topped with shredded cabbage, lettuce and carrot, and finished with chipotle cream sauce and a variety of salsas. 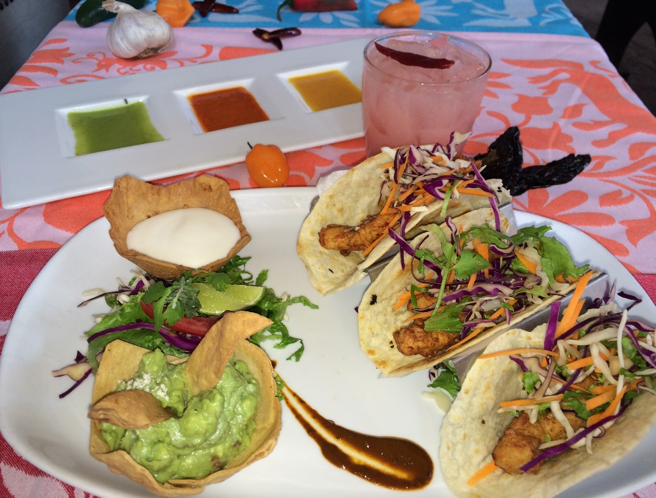 Executive Chef Hector Lucas suggests enjoying this delicious dish with a fresh guava and ginger margarita!